Arms around each other sharing a special moment, Mr and Mrs Mustard look out to sea; their favourite place. 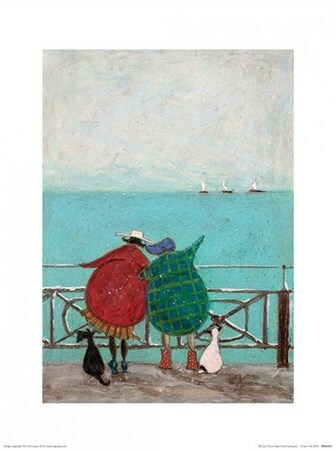 With little Doris by their side of course, the family brace the cold British winds, certainly getting the benefits of the sea air. 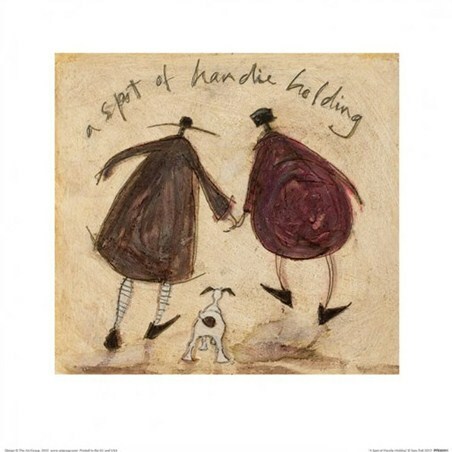 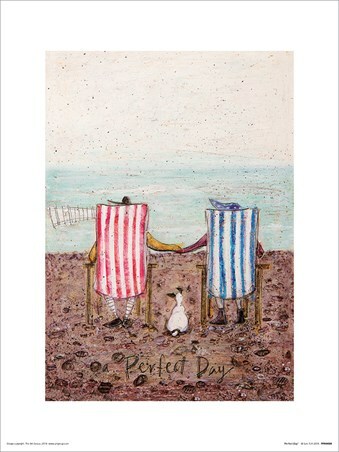 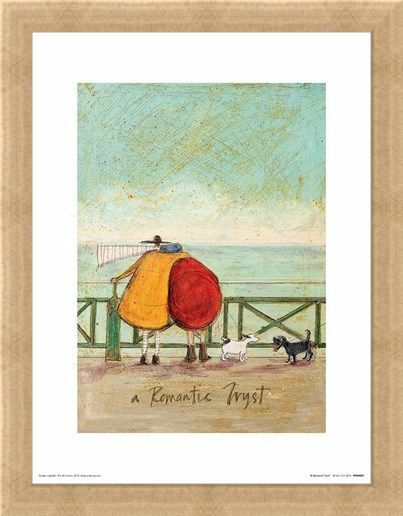 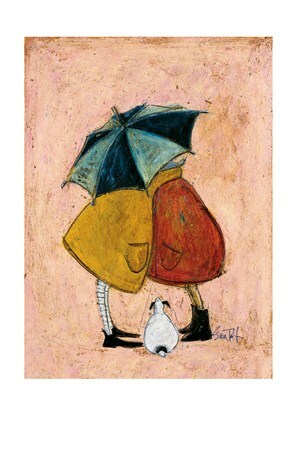 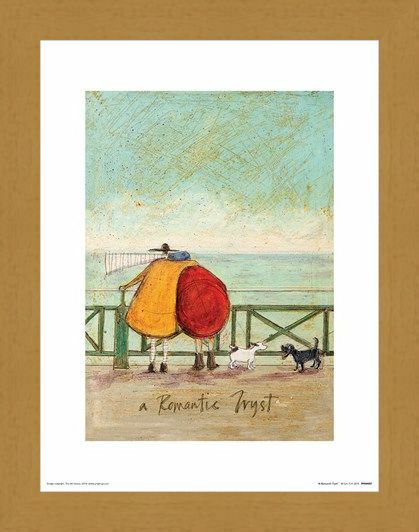 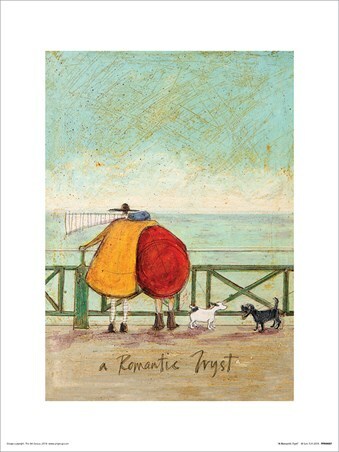 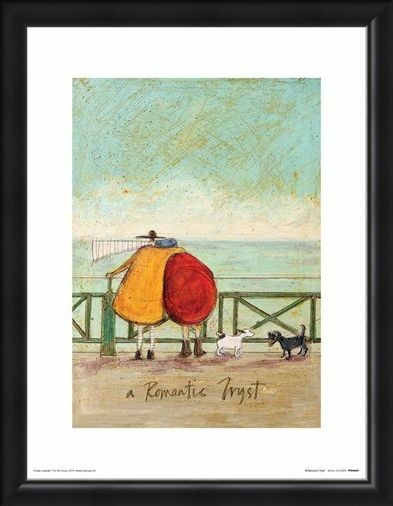 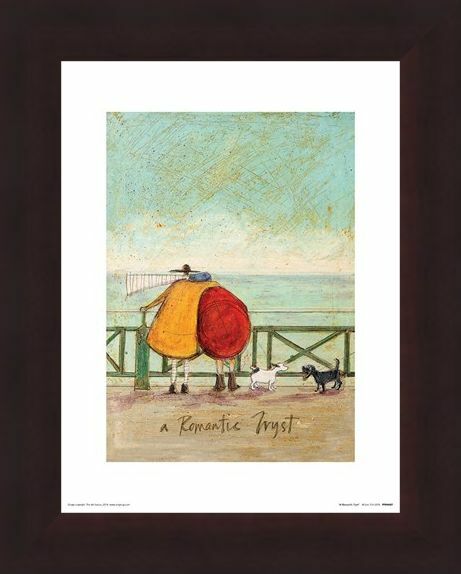 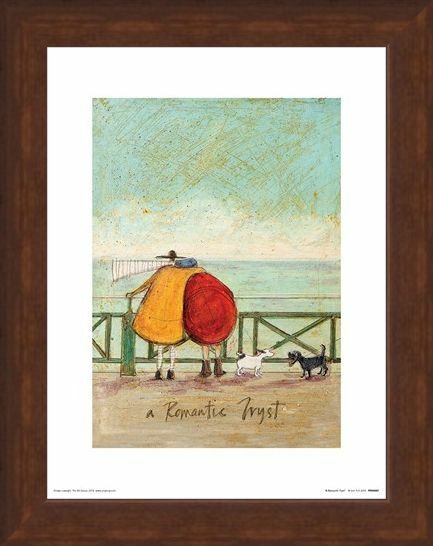 This endearing print by artist Sam Toft featuring 'A Romantic Tryst' oozes love and affection, perfect for your home. 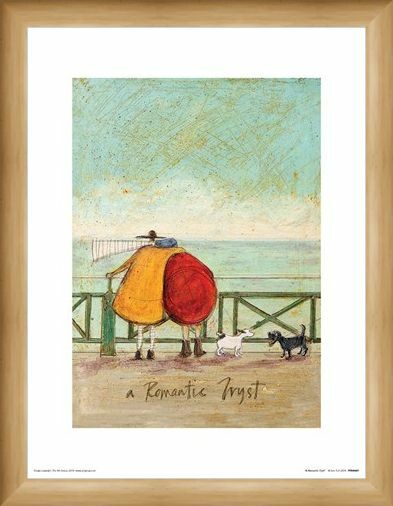 High quality, framed A Romantic Tryst, Sam Toft print with a bespoke frame by our custom framing service.